Learning to drive is an important life skill and one that many people couldn’t do without. It’s best to learn to drive as soon as you are legally entitled to as you will learn quickest at that age. It’s a sad fact that after your early 20’s your speed of learning decreases. How many lessons does it take to learn to drive? Intelligence plays little part in ability to learn to drive, but psychomotor skils will play a more important part. All instructors are examined by the DVSA – fully qualified driving instructors with have passed all 3 exams – part trained instructors (PDI’s) will have passed their first two exams. Always try to get a fully qualified ADI (with a green badge). In addition all instructors are regularly cheked that their standard is satisfactory through the Standards Check. 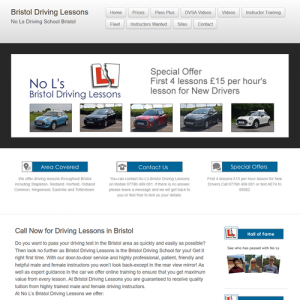 Most driving instructors work independently, although some work for driving schools such as AA, BSM, Red Driving school or other local or regional driving schools such as Blackwood driving school. You will firstly need to apply for a provisional driving licence (forms available from the post office) which usually takes about 10 days. You can then start your driving lessons. 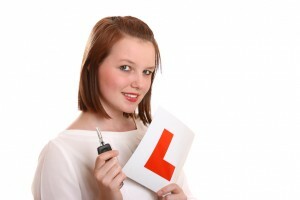 it’s always best to start with a driving school rather than family member so that you start learning the correct way. You can wait till later to start getting private practice. 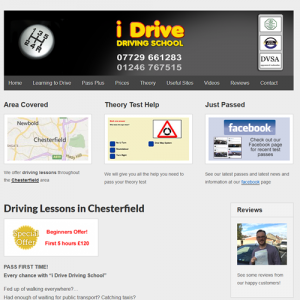 You will need to also start learning for the theory test. you must pass the theory test before you can apply for a date for the practical test. make sure that you are definitely 100% ready for the test. Most people who fail, do so because they had had too few lessons and too little experience. Generally it is accepted that most people take between 1½ – 2 lessons per year of their life. So a 17 year old would not normally expect to pass with less than 25 lessons.